Online education is now very common but, just like learning in a regular classroom, it still requires you to put in some effort. You can’t expect to learn without exerting any real effort just because you are doing it online. 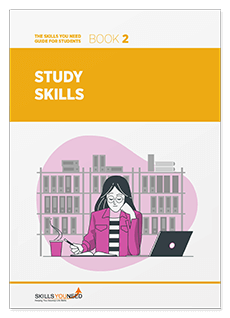 In order to successfully learn online, you need to develop learning skills that enable you to make the most of your classes. Online learners typically have limited time and resources, so developing skills that allow you to absorb more information from your classes can be truly rewarding. Developing a fool-proof time-management strategy is a key to maximizing your online learning experience. With limited time, you need to find the approach that works, like establishing your own schedule for class or self-study. A good example would be scheduling your tasks on certain days, and sticking to that calendar for the rest of the semester. You can devote weeknights for reading your lessons, Saturdays and Sundays for writing your assignments, and Monday to attend the online class. By then, you’ll be prepared to participate in discussions, submit assignments, and even move on to the next topics. One pitfall to avoid when it comes to time management is procrastination. Just because you’re free to move your schedules doesn’t mean you can do so whenever you feel like it. When you set a time for your online classes, make sure to attend them, participate, and learn from them. Online discussion boards are used to encourage interaction among students. By finding a common time, students can freely discuss with their classmates and instructors, and do it in a less organized, more informal way. This promotes discourse within the group, and enables participants to hone their writing skills, too. They need to craft a clear message as a question or response before posting. Students can make the most out of these online discussions by going through each of the queries posted, as well as the responses from peers. If you can, try to take note of questions that you find interesting or difficult. You can bring them up on your next discussion with your facilitator. Give back by sharing what you learned as well. Even if it’s a simple recap of the lessons, or posting a question about something that you want clarified, don’t hesitate to come forward and share this with your peers. No matter how small your input may be, it will open up discussion and that could then lead to bigger discoveries and increased understanding. As mentioned above, you can “spark” a meaningful discussion simply by asking the right questions. This is important for all online learners involved, not just the one asking the question. It allows participants to confirm or clarify the information they’ve gathered during the class. Again, don’t hesitate to ask these questions, because this is where information exchange starts. You might have learned something new from the class itself, but your interpretation may be a little off. Asking your peers and your instructors to clarify will help you gain more knowledge. This is where the messaging threads of online classes really come in handy as you are free to post questions to everyone, instructors and classmates included. Information exchange can happen in real-time, since others are able to post their responses as soon as they read your queries. You are also free to post a follow up question, in case you need more help understanding a lesson. Encourage your peers to ask questions as well since it will be a good way to compare notes on what you’ve learned. You can proactively solicit questions, and even volunteer to answer them if you can. Remember that in an online learning setup where you’re free to ask questions, you should also return the favor and respond to other students’ queries. Online learners may be separated geographically, but their potential to interact with others is infinite. Starting an actual conversation with an online classmate can be as simple as asking a question directly and, as you connect with more people, the more you’ll be able to get information that’s hard to come by even during online classes. For example, imagine that an online classmate already works within the industry you’re interested in. By interacting with them during and after your classes, you’ll be able to get first-hand experience of what it’s like to work in the industry, and even get tips on applying for work, and more. You get extra lessons from the connections you make and, in a way, it’s all thanks to your online classes. You can form a “group” with your classmates so you can talk and discuss with them even outside class hours. Apps like Slack, Glip, or Skype can be used to communicate and collaborate with others for free. Projects and assignments will be easier to work on if you are collaborating as a group. This is perfect for the online learning setup since you’ll have people to work with, even when you’re geographically separated. With the right set of skills, you can make the most out of your online classes. Learn how to manage your time wisely, and how to interact with your fellow learners, in order to get more than what you signed up for. Nothing will be spoon-fed, so make the extra effort to talk with your peers and with your instructors, and learn not only from the online lessons, but also from class discussions and the information shared by online colleagues. With the technology available today, there’s really no limit to what you can do online. Use that to your advantage and, for sure, you will get more out of your online course. Francis Mansueto has been writing for more than a decade now, focusing on Digital Marketing in the last couple of years. He is currently in charge of writing web-optimized content for RingCentral, an industry-leading cloud phone systems provider. Francis is also a voracious reader, spending most of his free time immersed in fictional worlds. You can reach him through Twitter.